The Backyard Repeater Group requests that any device starting with “DV4” or is from Wireless Holdings NOT be used on 31201, or any BYRG repeater. The performance of these devices on DMR cause many headaches for the users and sysops both. WE DO NOT FOLLOW THE “REFLECTOR” TYPE OPERATION FOUND IN EUROPE FOR DMR. WE USE THE MORE SENSIBLE CHANNEL/TALK GROUP PROGRAMMING OF YOUR RADIO. SO THE 4000 CODES DO NOT COME INTO PLAY ON THE BYRG SYSTEMS. Listen to BYRG TG (31201) LIVE!! In regards to what is available on each repeater, the ONLY TG which traffic will appear simultaneously on ALL BYRG repeaters is BYRG . 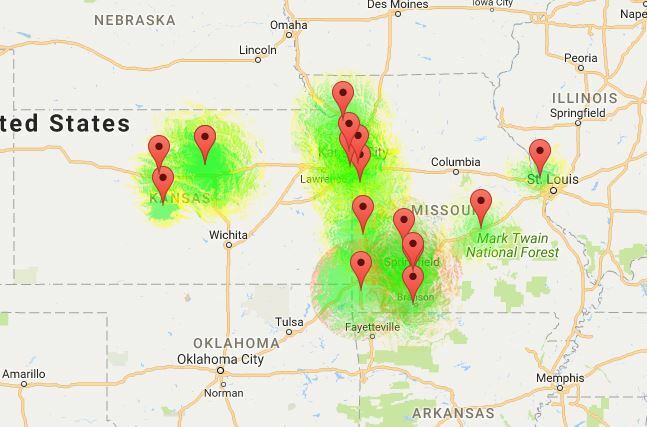 ANY Activity on 31201 can be found on all repeaters, and MANY more outside of the Kansas City Area. ALL the other talk groups are “repeater dependent” which means, for example, if you are active on World Wide on Mission, Peculiar will be quiet until someone “wakes up” WW on Peculiar. Or if you are active on as an example NA on Peculiar, then Mission will still be User Activated or “asleep”. Remember this when traveling between sites.